Leonard L. Milberg ’53 Professor of American Jewish Studies and Professor of English, Princeton University. Profile: Esther Schor, a poet and professor of English at Princeton University, won the National Jewish Book Award for Emma Lazarus. Her poems include Poems for Sarra, The Hills of Holland and Strange Nursery: New and Selected Poems. 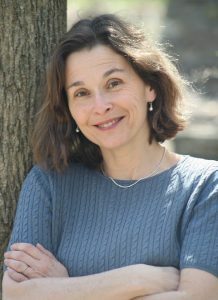 A specialist in British romanticism and The Bible as Literature, her scholarship includes Bearing the Dead: The British Culture of Mourning from the Enlightenment to Victoria and The Cambridge Companion to Mary Shelley. Her cultural history/memoir of the Esperanto movement, Bridge of Words: Esperanto and the Dream of a Universal Language, was published by Metropolitan Books in 2016. Esther Schor received her Ph.D. from Yale and taught briefly at Tufts University and Barnard College, Columbia University. She lives in Princeton, New Jersey. Profesoro 'Leonard L. Milberg ’53' de Studoj Uson-Judaj kaj Profesoro de la Fako pri Angla Lingvo en Universitato Princeton. Profilo: Esther Schor, poeto kaj profesoro de la angla ĉe la universitato Princeton, gajnis la Nacian Judan Libropremion por la verko Emma Lazarus. Ŝiaj poemoj inkluzivas Poems for Sarra (Poemoj por Sarra) The Hills of Holland (La Montetoj de Holando) kaj Strange Nursery: New and Selected Poems (Stranga vartejo: novaj kaj selektitaj poemoj). Specialisto pri Brita romantikismo kaj la Biblio kiel Literaturo, ŝiaj verkoj inkluzivas Bearing the Dead: The British Culture of Mourning from the Enlightenment to Victoria (Portante la mortintojn: La brita funebra kulturo de la Klerismo ĝis Viktorino) kaj The Cambridge Companion to Mary Shelley (Kembriĝa gvidlibro pri Mary Shelley). Ŝia histori-memuaro pri la Esperanto-movado Bridge of Words: Esperanto and the Dream of a Universal Language estis eldonita de Metropolitan Books en 2016. Esther Schor doktoriĝis ĉe Yale kaj mallonge instruis en Universitato Tufts kaj en Kolegio Barnard, Universitato Columbia. Ŝi loĝas en Princeton, Novĵerzeo.